In some instances, double damages and attorney fees. The DTSA provides broad protections and remedies for owners of trade secrets, but it also includes immunity provisions and creates notice obligations for employers. 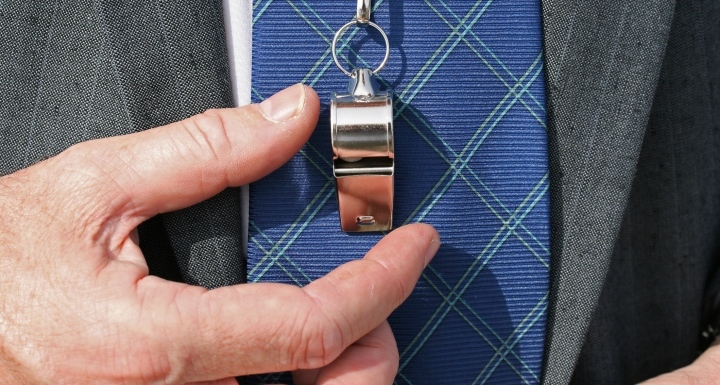 Employers are now required to provide whistleblowers immunity against "liability for confidential disclosure of a trade secret to the government or in a court filing." Is made in a complaint or other document filed in a lawsuit or other proceeding, if such filing is made under seal. A close reading of the statute suggests that the immunity contemplates protection in matters arising either under state or federal law and also encompasses civil and criminal allegations. However, the immunity does not apply to a whistleblower who makes general public disclosure or who uses the trade secret for competitive purposes. Employers must take note that the DTSA also requires notice of this immunity to employees, independent contractors, and consultants. Employers are required to provide notice of the statute in "any contract or agreement with an employee that governs the use of a trade secret or other confidential information." The immunity notification can be either directly stated in an agreement with the employee, contractor, or consultant, or by cross reference to a separate policy document provided to the individual. Accordingly, employers need to implement a policy notifying employees, contractors, and consultants of the immunity. An employer's failure to provide the required notice will foreclose the employer's right to recover exemplary damages or attorney fees in an action against an individual to whom notice was not provided. The immunity provided by the DTSA applies not only to employees, but by definition, also to an "individual performing work as a contractor or consultant for an employer" – commonly referred to as an "independent contractor." The DTSA does not address whether notice of immunity must also be given to an individual who provides services to an independent contractor as a subcontractor, but the statutory language suggests that personnel employed by entities other than the employer are not required to be given notice. The DTSA does not pre-empt any state action for misappropriation of trade secrets, but like the federal wage and hour laws, allows the litigant to choose whether to bring the action under state or federal law. Similarly, the DTSA's denial of certain remedies to an employer who does not provide immunity notice is similar to employment discrimination laws, which negate an employer's defense where the employer has not provided the employee notice of a complaint procedure. Employers must create and distribute notice of the immunity provided by the DTSA or risk the loss of remedies. Please contact Ward and Smith's Labor and Employment attorneys for assistance with trade secret protection policies, immunity policies, and the DTSA notice. © 2019 Ward and Smith, P.A. For further information regarding the issues described above, please contact Albert R. Bell, Jr. Written By Albert R. Bell, Jr.